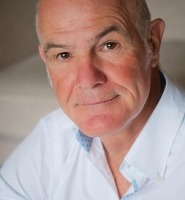 Dr. Stephen Simpson is a world renowned mind coach, hypnotherapist and Fellow of the Royal Society of Medicine. He has appeared on Sky, ITV, Golfing World, Voice of America, Angel Corner Retreat Radio and other top international programmes, as well as in the pages of Sunday People, Glamour, The Best You Magazine and more, sharing his simple, innovative methods for building luck. As a private coach and hypnotherapist, Dr. Simpson counts many luminaries from the sporting, gaming, entertainment and business worlds among his clients. In 2006 he began working as a Mind Coach on the PGA European Golf Tours, and in 2013 on the World Poker Tours, helping star performers improve their game and maximize their success. Much of Dr. Simpson’s work centers on the principles of neurolinguistic programming (NLP), havening, heartmath, and reconnective healing. A long-time student and certified master in these practices, he weaves much of this training into his personalized coaching and development sessions, ensuring unparalleled results for clients and partners. In addition to this unique training, Dr. Simpson has been a practicing physician for nearly 40 years, and a Fellow of the Royal Society of Medicine. He also holds an MBA from Brunel University and has trained alongside some of the top names in mind coaching and hypnotherapy, including Paul McKenna, Richard Bandler and Dr. Ron Ruden. Aside from this work, Dr. Simpson is passionate about connecting remote communities with quality medical care. During his career, Dr. Simpson has lived in some of the most challenging regions in the world including Angola, Nigeria, Kazakhstan and Oman. His international HIV care and prevention programmes are world­ renowned, and have helped millions improve their lives while curbing the spread of this global epidemic. Dr. Simpson was also instrumental in the fight against Marburg, a devastating esoteric tropical disease and Ebola offshoot. Employed by Chevron for more than 17 years, most recently as the Regional Medical Director, Dr. Simpson was able to bring his humanitarian initiatives to the forefront, working alongside some of the world’s leading change agents, including President Bill Clinton. During this time he also served as a task force member on the World Economic Forum and Global Business Coalition, helping steer the conversation and affect change for millions.